To borrow from John Lennon, life is what happens when you’re busy making plans. 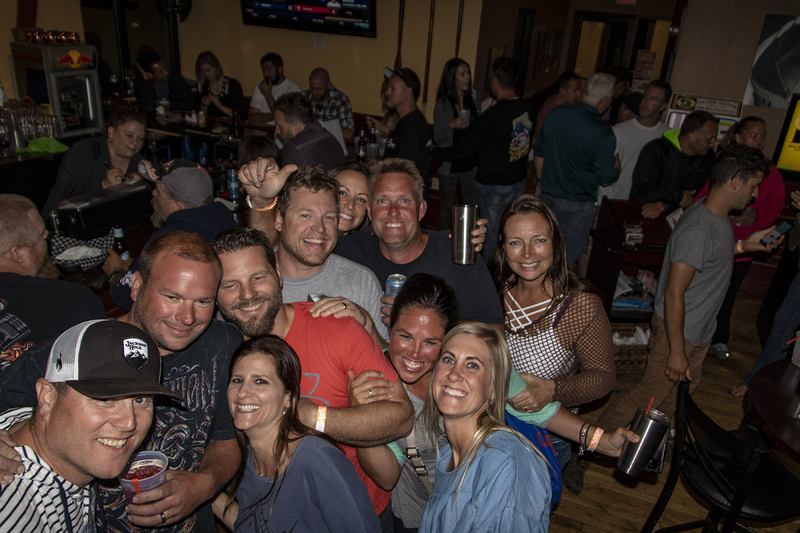 Four Horsemen Poker Run organizer Shannon Radtke and her business partner Jason Lindemann, for example, had planned to have their best event ever in 2018. They had a record-setting 75-boat fleet and a breezeless, postcard-perfect day—the previous year’s run had seen howling winds churn Lake Winnebago in Oshkosh, Wis., into a chocolate mess. Their plan was unfolding perfectly. Until suddenly and tragically, it wasn’t. 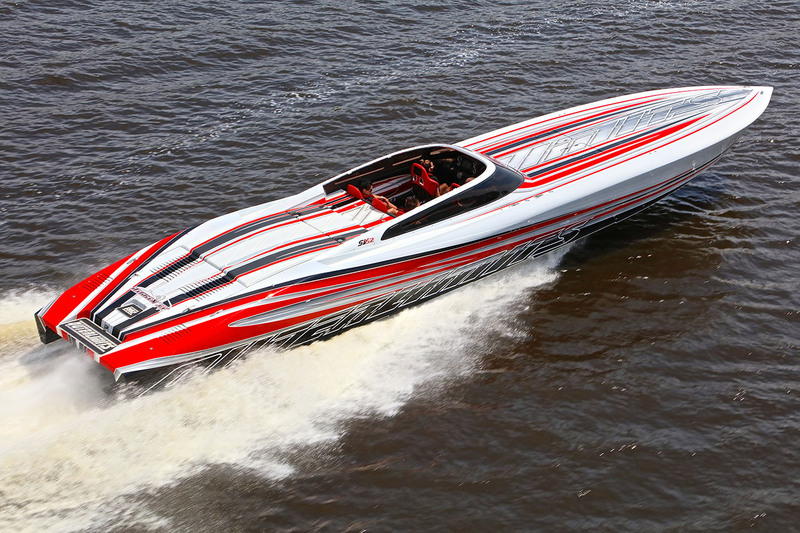 Organizers of the Four Horsemen Poker Run are hoping to reach the 100-boat milestone this year. Photo courtesy/copyright Pete Boden/Shoot 2 Thrill Pix. After landing for event photographer Pete Boden to exit, the event helicopter flying as a photo platform for the run lifted off and struck power wires above the Fox River. The helicopter crashed into the water below and its 27-year-old pilot, Jonathon Bahr, was killed. The incident closed the river for hours, but even if it had not the run was over. Though there were plenty of tears, the participants carried on bravely at the awards dinner and auction, paid tribute to the pilot and celebrated Boden’s remarkable good fortune. Tragedy bonds people in extraordinary ways. But for good reason, the celebration was muted. Appropriately so, it was a million miles away from what Radtke and Lindemann had planned. So this year’s Four Horsemen Poker Run June 7-8 takes on even greater significance than the event celebrating its 10th anniversary. And Radtke, though far from over last year’s devastating turn of events, is ready for unprecedented success. Registration for the poker run officially opens March 1. Expanded from 14 to 23 this year, sponsorship dock slips are more than halfway sold out. Most sponsors are local businesses outside the marine industry, but if all goes well the event could secure its first big-name marine backer by the end of this week. Boden is returning as the event’s aerial photographer. Also a professional photographer, Radtke’s husband, Brian, will capture the event from the water. In previous, the Four Horsemen event’s big party and awards dinner, complete with live entertainment, happened Saturday night. While the awards portion of the event will still happen Saturday evening after the run, that night’s happening will be a lower-key affair. The run’s big party will happen Friday night, according to Radtke. For 2018, the Oshkosh Special Olympics of Wisconsin will be the event’s benefitting charity. On Friday, interested participants will have the opportunity to give powerboat rides to local Special Olympians. Said Radtke, “It’s all about the people.” Photo courtesy/copyright Brian Radtke/Media One 7. “We have some other things we’re going to be doing but we’re not talking about those just yet,” said Radtke. While the 100-boat benchmark matters to Radtke, it pales next to her goal of doing everything she can to make sure everyone gets back to the docks safely. Then she can exhale and savor what she enjoys most about the event—spending time with people who’ve become some of her closest friends.